In October, 41 educators from Virginia, Maryland, and DC came together to experience the educator workshop Panel 61+: What Happens Now. Using Jacob Lawrence’s Migration Series as a medium for discussion, collaboration, and experimentation, the workshop focused on exploring arts integration. In the morning, educators flowed into the auditorium to hear curator Elsa Smithgall and Professor of Modern Art at the University of Virginia, Elizabeth Hutton Turner, give an art historical framework for The Migration Series. “During a time when record numbers of migrants are uprooting themselves in search of a better life, Lawrence’s timeless tale and its universal themes of struggle and freedom continue to strike a chord not only in our American experience but also in the international experience of migration around the world,” said Smithgall, connecting the series to the present day. 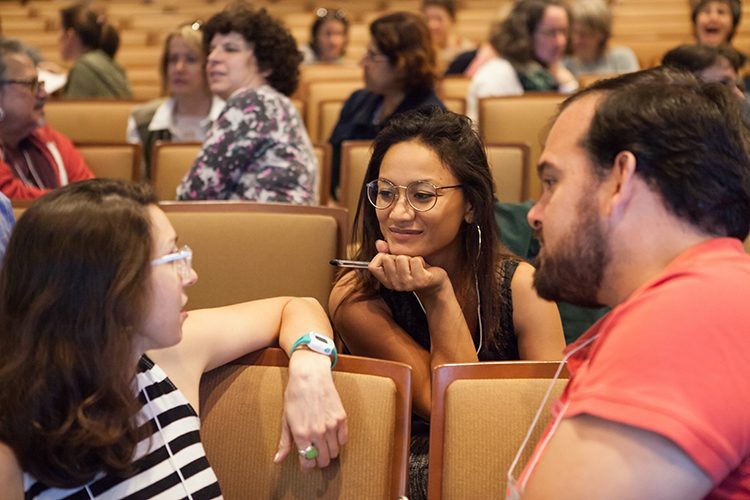 During the afternoon, museum educators returned to the workshop where Phillips staff led a series of breakout sessions demonstrating Prism.K12, the Phillips’s unique set of six strategies for integrating the arts into school curricula. These hands-on sessions provided participants with the tools to incorporate this into their classrooms, from artistically creating the 61st panel of The Migration Series to empathizing with subjects in Lawrence’s works in the galleries to engaging in a lesson-building activity using Jacob Lawrence-themed dice. The 2016 Jacob Lawrence Teacher Cohort, a group of local best practice educators trained in arts integration, then took the stage by sharing their own classroom experience with their peers. 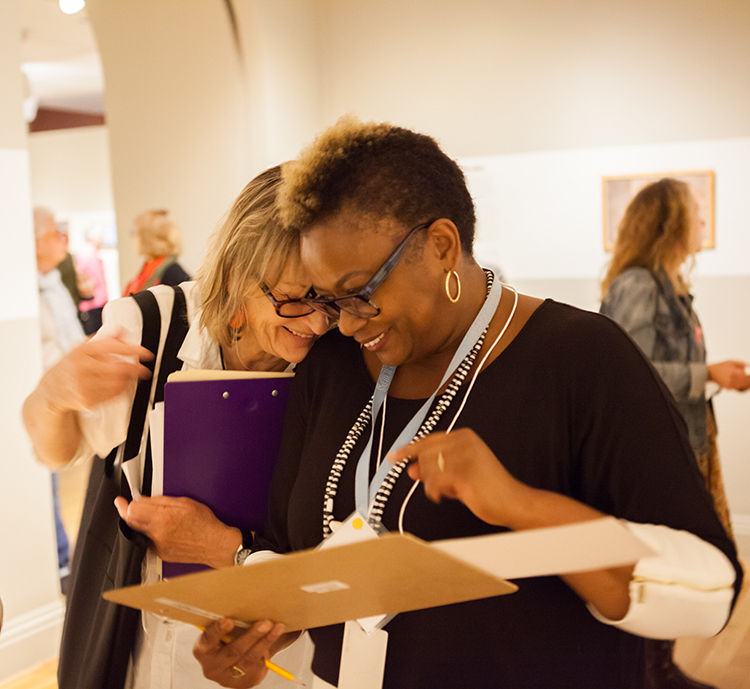 Before the day was finished, the educators had the chance to browse the galleries and reflect and connect with their colleagues. 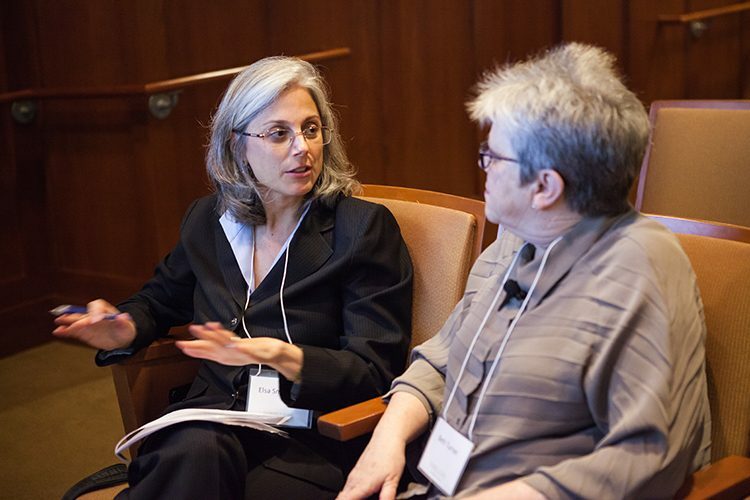 Participants left the fast-paced, invigorating event equipped with strategies to teach their students about Lawrence’s topical work, the historical context, and its relevance to current times. This entry was posted in Exhibitions, Experiment Station and tagged arts education, arts integration, Jacob Lawrence, Panel 61, Panel61, prismk12, stem to steam, The Migration Series. Bookmark the permalink.